Hong Kong-based Asia Nexgen Bitcoin Exchange has launched a mobile wallet app called ANX Vault for Android and iOS, allowing people to exchange Bitcoins and other digital currencies via QR codes. While users can use the app to exchange Bitcoins and other cryptocurrencies, or decentralized digital currencies controlled by encryption, as they would cash, it can’t be used to pay for anything using the 11 national currencies the platform supports on its website. ANX CEO Ken Lo said this might change in the future, as he sees mobile payments via phones as something that supplant things like popular transportation cards. He referenced the Octopus Card, which is used to pay for public transportation in Hong Kong. For now, mobile payments remain the domain of large players in the tech market like Google, whose Google Wallet can be used via Near Frequency Communication chips, and Tencent, which allows people to pay via WeChat QR codes. Lo’s vision of Bitcoin’s place in the market is a bit different. “Bitcoin in general is a competitor to guys like Google Wallet and MasterCard,” Lo said in a phone interview. Mobile payments have become something of a new battleground China among firms like Tencent, Alibaba and Baidu. However, uncertainty has grown about how the market will evolve since the People’s Bank of China expressed concern over the security of such payment methods. For now, Bitcoin is not a practical medium of exchange for many people. While it was developed to be a decentralized currency, speculation has caused a great deal of price volatility, making it less than ideal as a store of value. Effectively, Bitcoin is traded as a commodity and few places accept it as payment, although the number of places that do has been growing. 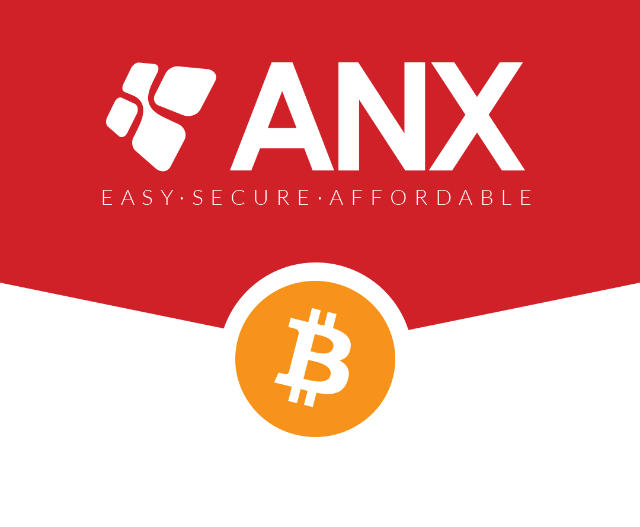 ANX serves its customers primarily through three services: ANXBTC, ANXPRO and Mengmengbi. 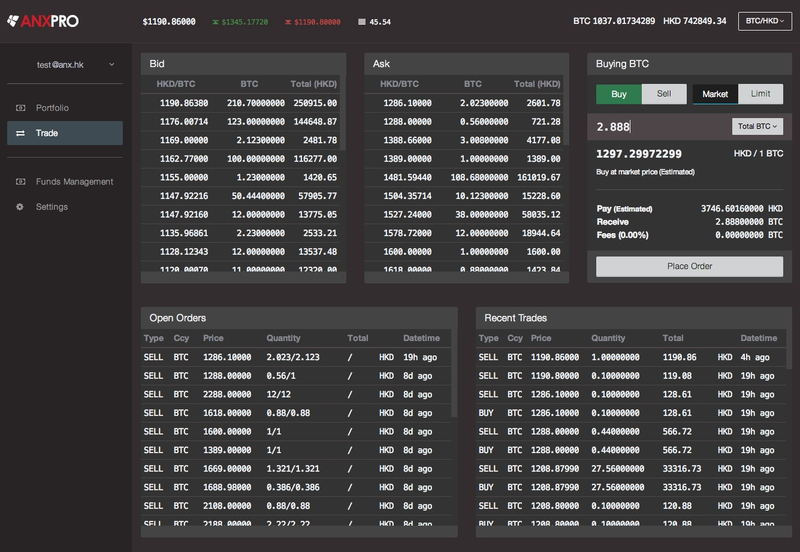 ANXBTC is a simple Bitcoin exchange meant to allow people with little experience to be able to quickly buy and exchange the popular cryptocurrency. ANXPRO is more sophisticated, allowing customers to see all their holdings in multiple cryptocurrencies as a portfolio and to buy and sell these using multiple national currencies. Mengmengbi offers ANX services tailored to those living in mainland China. ANX launched July 1, 2013, the same day Cameron And Tyler Winklevoss announced the initial public offering of their $20 million Bitcoin trust, attracting a great deal of media attention. The greater the media attention on Bitcoin, the more volatile the price. Bitcoin is still young, though, and ANX is already one of the seven largest exchanges for the cryptocurrency, according to Lo. Recently, news of tightening controls on Bitcoin in China caused a precipitous drop in prices. This has made Hong Kong look like a safer place for exchanges to set up shop. Lo said he is not too concerned about what is happening in China. “China has said more than once they’re not going to ban (Bitcoin),” he said. In Lo’s view, China was concerned about speculation getting too high and wanted to cool the market down, which would ensure people did not lose too much wealth by buying overvalued Bitcoins. Other cryptocurrencies do not typically suffer the kind of wild speculation and price fluctuation seen with Bitcoin, which enjoys more popularity for multiple reasons that include a first mover advantage. ANX puts more emphasis on Bitcoin because of its popularity, but Lo wants ANX to serve as a “global clearinghouse” for digital currencies. “We’re not really married to any kind of currency,” Lo said. ANX currently has a physical presence in only Hong Kong and Australia, but Lo said the company is looking at options for expanding further. Having a global strategy from the beginning is what helped make ANX a strong competitor, he said. While not widely accepted as currency yet, one advantage of Bitcoin is that it can be used in any country without international transaction fees. A service like ANX, which supports a multitude of currencies, could offer an advantage in that respect.